Não tem a certeza sobre os seus dados, ou como os nossos engenheiros vão interpretá-los? Este é o nosso processo de “aprovação de pré-produção”. Confirme em “proceed to check out” um item do seu “Carrinho de compras” para lançar a sua encomenda. A encomenda irá aparecer no menu “running orders”The order will then appear in the “Running orders”. Aí poderá seleccionar novamente a encomenda e escolher a opção “request for pre-production approval”. Uma vez que os arquivos de produção estão prontos, a encomenda aparece na parte superior do ecran e estará pronta para a sua aprovação. Será notificado sobre isto por e-mail. Os dados de produção de seu pedido estão prontos para aprovação. Pode ver e verificar os seus dados com o nosso programa PCB Visualizer e visualizar os detalhes do pedido. Se tudo estiver correto, escolhe ” Approve & release for production” para libertar a encomenda e para que esta possa avançar para a produção. No caso de encontrar uma inconsistência, escolha ” Send your comments “. A janela de diálogo ” send your comments” identifica quem é. Pode completar ou alterar esta informação. No campo da mensagem pode formular seus comentários. A função “Anexar um arquivo” permite apoiar seus comentários com documentos externos ou com novos dados PCB. Envie e a sua comunicação será recibida pelos nossos engenheiros. A notificação “Message sent” aparecerá.Os nossos engenheiros entrarão em contato consigo depois. Añada una comodidad adicional en su proceso de compra, y organice sus propios datos de aprobación antes de que se produzca la orden. No está seguro acerca de sus datos, o como nuestros ingenieros van a interpretarlos? Confirmar en “proceed to checkout” un artículo de su “cesta de compras” para iniciar su pedido. El pedido aparecerá entonces en “running orders”. Ahí podrá seleccionar nuevamente el pedido y elegir la opción “request for pre-production approval”. 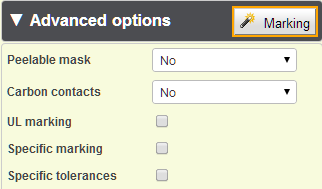 El pedido aparece ahora en el menu “pre-production approval overview”. Puesto que los archivos de produccion están listos, el pedido se colocará en la parte superior de la pantalla y estará listo para su aprobación. Será notificado de esto por correo electrónico. Los datos de producción del pedido están listos para su aprobación. Usted puede ver y verificar sus datos con nuestro programa Visualizer PCB y ver los detalles de la aplicación. Pulse en “next” para pasar a la siguiente etapa. Si todo está correcto, seleccione “” Approve & release for production” para lanzar la orden y para que pueda proceder a la producción. En el caso de encontrar una incoherencia, seleccione “Enviar sus comentarios”. Se abrirá una ventana. If everything is correct, push “Approve & release for production” to release the order so it can proceed to the production department. In case you find an inconsistency, push “Send your comments”. A dialog window will open. El cuadro de diálogo “enviar sus comentarios” identifica quién es usted. Puede completar o modificar esta información. En el campo del mensaje pueden hacer sus comentarios. El “Adjuntar un archivo” permite adicionar a sus comentarios documentos externos o nuevos datos de PCB. CadSoft’s EAGLE software is one of the most popular CAD packages in the market today. 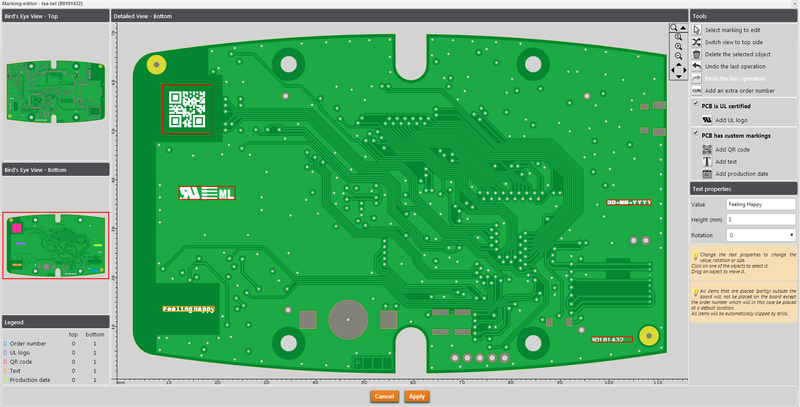 Whether you are an experienced PCB designer or looking for your first CAD package, EAGLE CAD is easy to learn and easy to use. It offers powerful PCB design solutions, including Schematic Capture, Board Layout and Auto router, all at affordable prices. Thanks to a full range of support options, switching to EAGLE is fast into use and stress-free. Find out more. 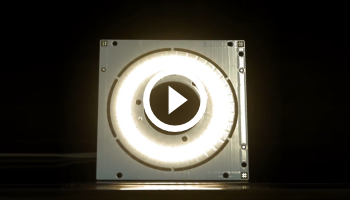 Watch the EAGLE introductory video. EAGLE V7 will be released in July, but you can start getting the benefits of EAGLE right away. Purchase EAGLE V6 before the V7 launch date and you will get V7 for FREE as soon as it is released. On top of that you can still profit from our Eurocircuits 2014 EAGLE campaign and receive in your Eurocircuits customer account a PCB order discount key of 30 Euro netto to be used with your next PCB order. Terms here. Order EAGLE V6 from Eurocircuits here. Hierarchical schematic design, which allows the designer to create structured schematic drawings. The top sheet can contain module boxes representing parts of the schematic. Improvement of the autorouter: A new router algorithm pre-routes the layout. The result is smoother tracking with fewer angles. Support for multi-core processors. This will allow EAGLE to route simultaneously several jobs (with different settings). We have worked with CadSoft over the last 5 – 6 years to integrate EAGLE into our workflow. 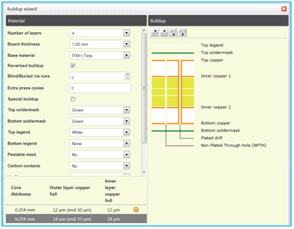 EAGLE users can upload the .BRD data files directly into PCB Visualizer without the need for conversion. Designers can download free EAGLE DRU files from our website. These come with built-in component libraries to speed your design process, as well as design rule parameters based on our order-pooling services. Use these parameters and you can be confident that your design has the optimum price – and will go into production without any delays caused by data issues. EAGLE V7 upgrade offer terms and conditions, defined by CadSoft Computer GmbH. Eurocircuits was a Main Sponsor at The Evertiq Conference 2014 in Stockholm, 13.5.2014. We exhibited and were at the conference as speaker. First we would like to thank our customers who registered to the conference mentioning they were invited by us. 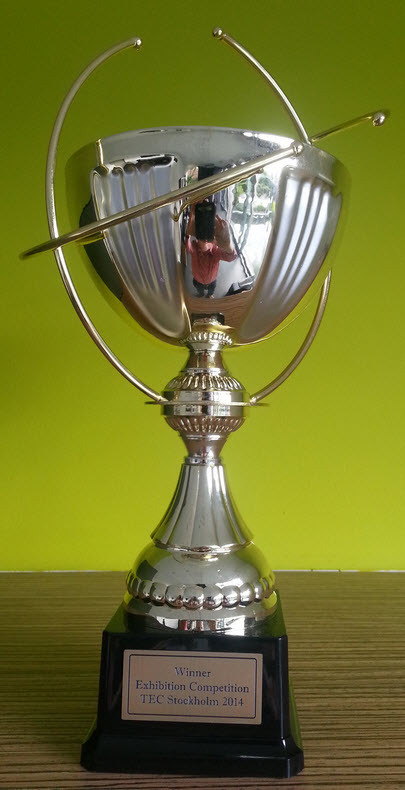 Eurocircuits” customers were the largest group attending the event which lead to Eurocircuits winning the marketing cup, TEC Stockholm 2014. Panel editor: making standard or complex customer panels interactively on screen. 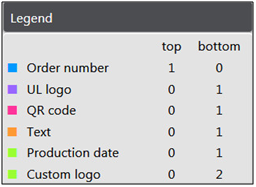 PCB Checker: shows the result of the design rule check (DRC) of your data against the order details of the basket item. You can consult all possible errors individually and evaluate. It also contains some DFM function like: plating index, solder paste surface, possible fiducial in a design, …. 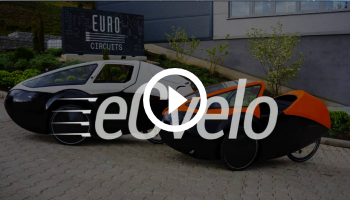 Our presentation takes a tour through all Eurocircuits” smart menus and PCB Visualization tools and how they can help you gain time, avoid misunderstandings and save costs by defining an ideal PCB design flow. 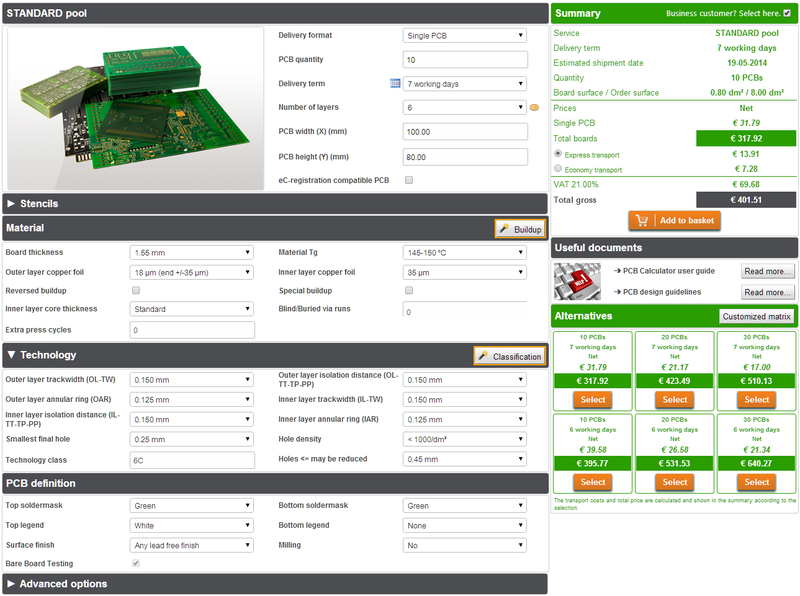 New functionality from Eurocircuits to speed up the design process for RF and non-RF PCBs. 1. 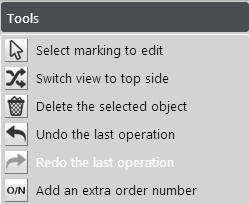 Custom marking – a new PCB Visualizer function. Place the order number or UL logo where you want it. Define and place date codes, text and QR codes. 2. RF pool upgraded. New RF build options as requested by our customers. 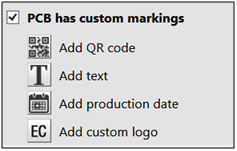 Custom marking – a new PCB Visualizer function. 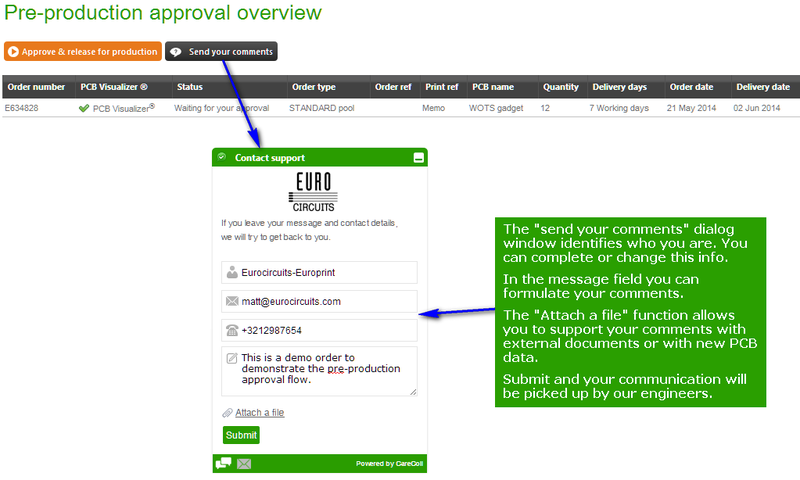 Do you need a special text, date code or QR code on your PCB? Do you need the order number or UL logo to appear in a specific place? RF engineers have asked us for:1. A low cost solution for RF prototype and development PCBs2. Standard materials and builds to be used as the basis for new designs. How do we assure the quality of your PCB? 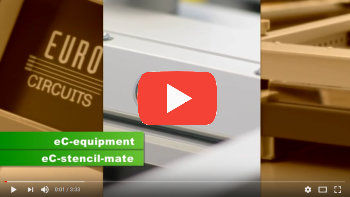 Part 1 describes the tests that we carry out on your boards and on our processes during production. It also explains each section of the PCB Passport. Part 2 sets out the tests that we make on the finished boards to ensure that they meet and exceed your quality requirements. Tolerances on PCBs. What tolerances should I design into my PCB? Marking. 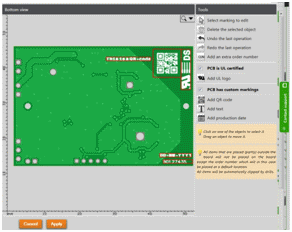 What the new marking function in PCB Visualizer offers the designer, and how to use it. RF pool – insights and details. Updated to give more information on the new materials and builds.